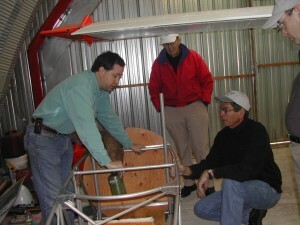 Old Buzzard inspection of Frank’s work. 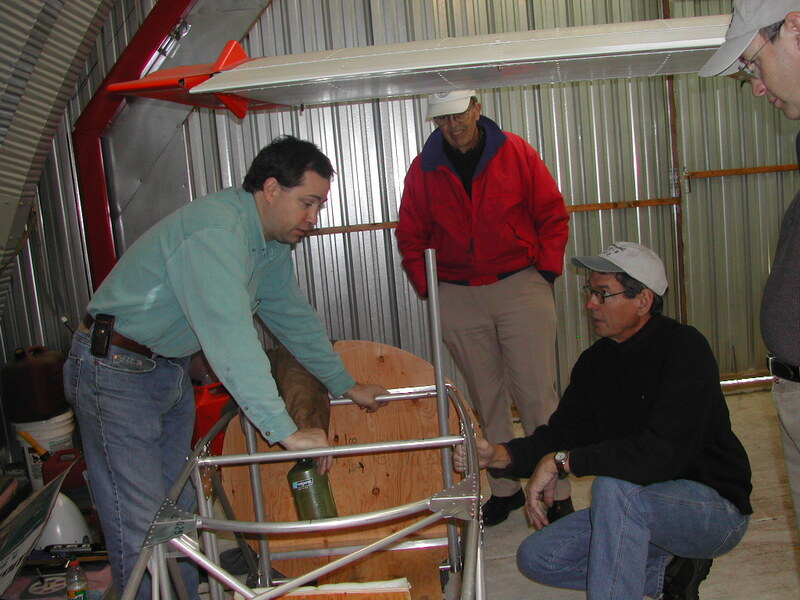 Old Buzzards check out the plane, and not sure where the giant rubber band goes. 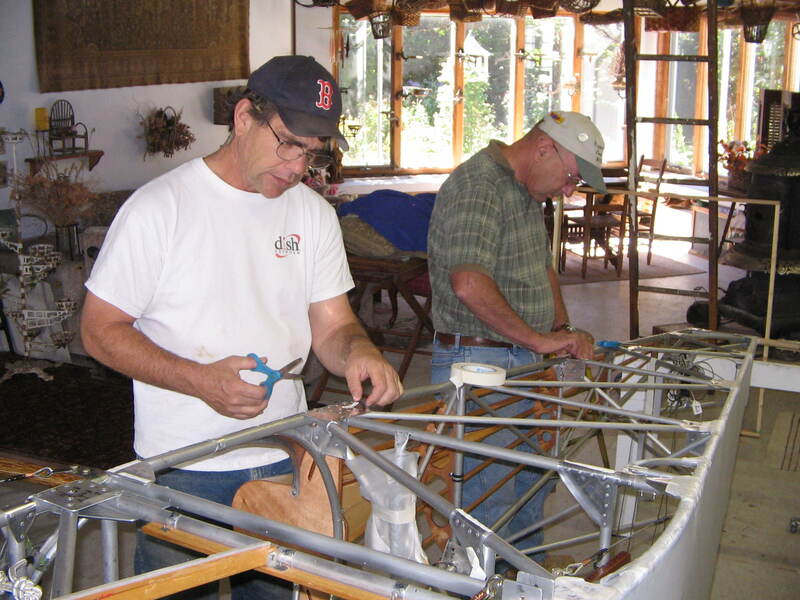 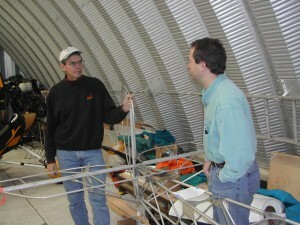 Frank Nowak (on left) and Noah Forden discuss finer points of fabric aircraft (seems very serious). 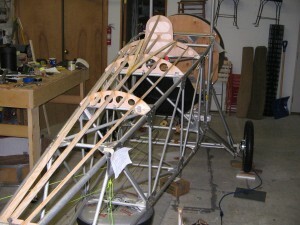 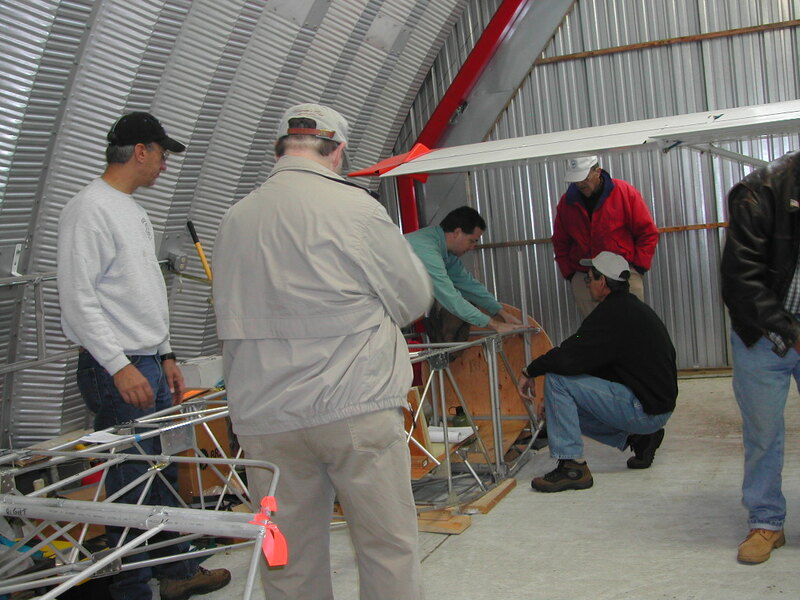 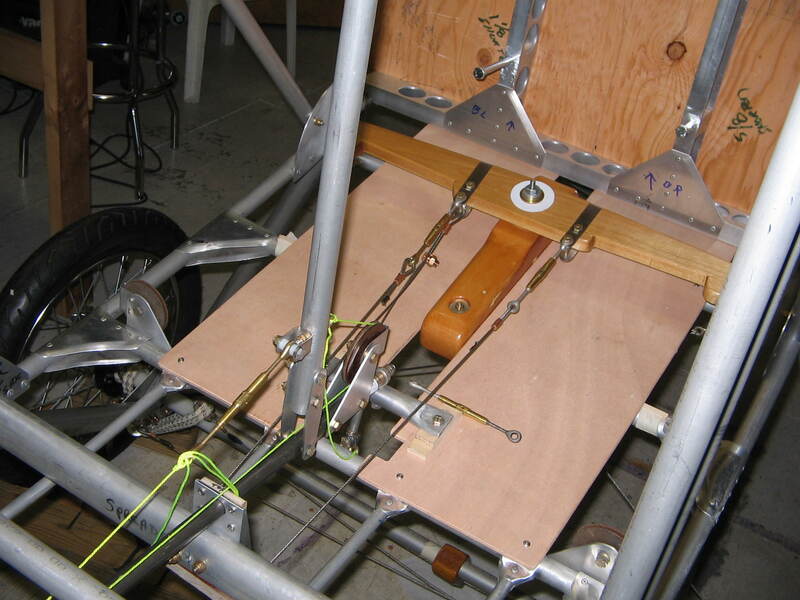 January 2006 – Fuselage on landing gear. 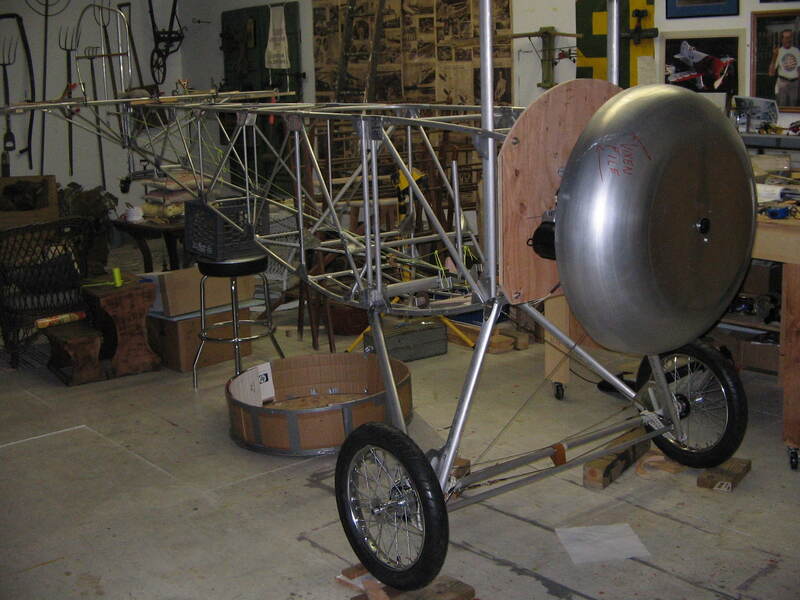 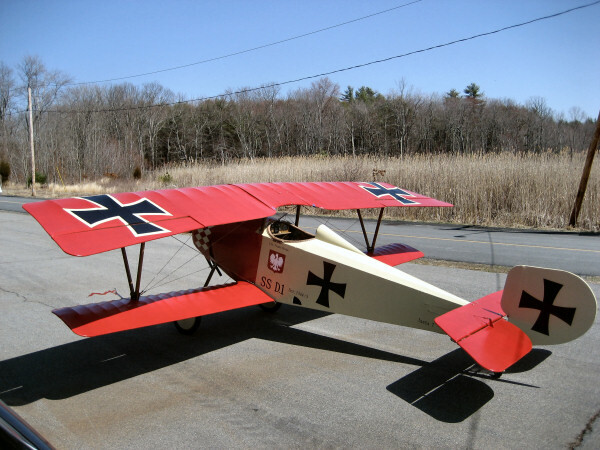 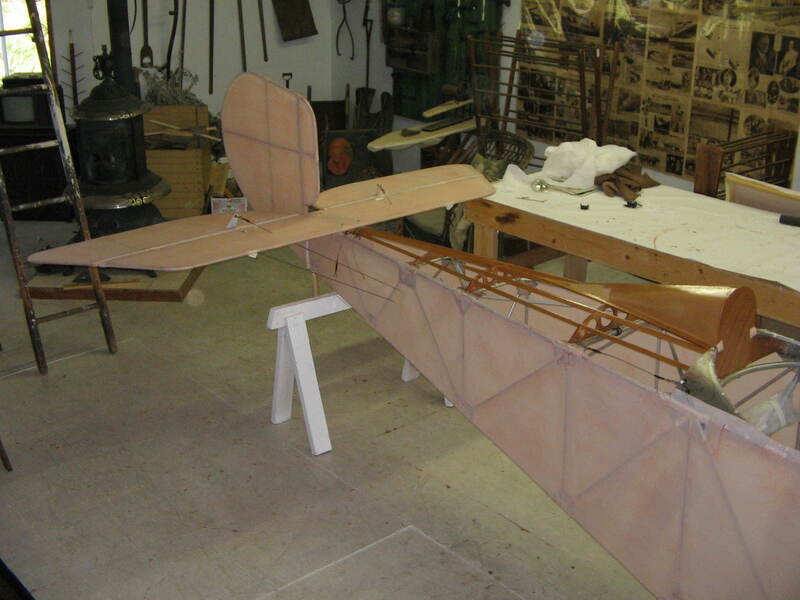 Does a WWI plane need a re-entry heat shield? 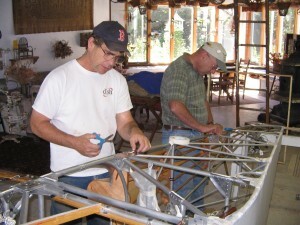 Steve Goldin and Al Myette show their sewing technique. 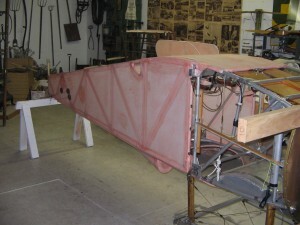 Sides and belly covered with fabric. 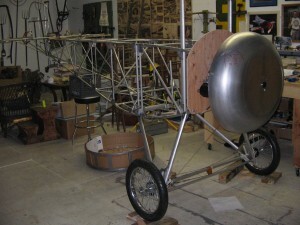 Finished and ready for take-off (almost, needs a runway without power lines).